The project consists of a new development and the requalification of the “Pont du Lion” at Saint Genis Pouilly. The existing bridge spans over the river Lion. The approximate width of the roadway is 7m, and the span of the bridge is about 17.5m. 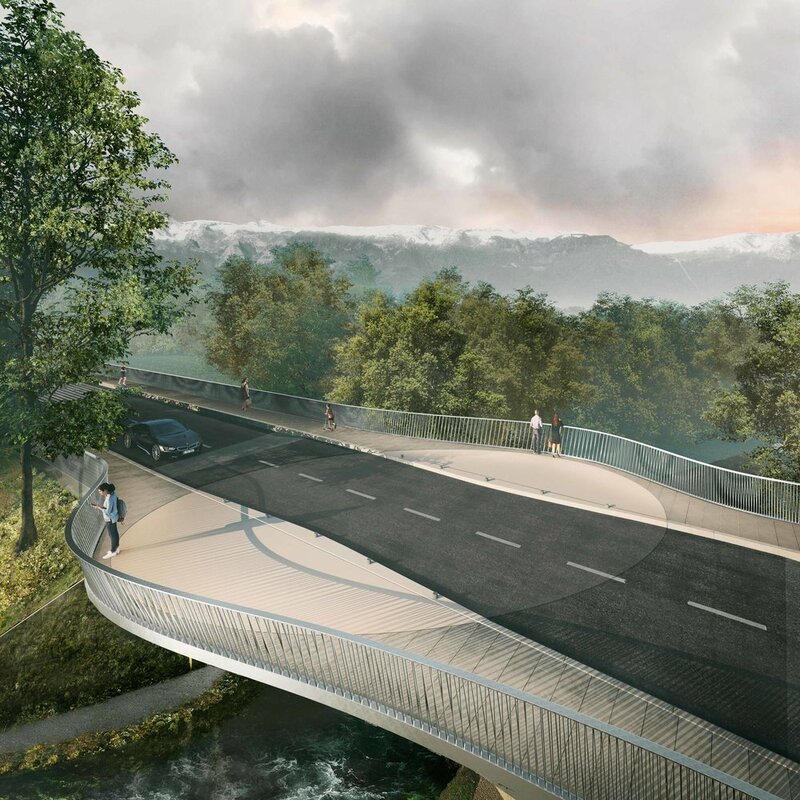 As a continuation of the renovation work on the rue de Genève and downtown Saint Genis-Pouilly, the aim is to redefine the bridge, without altering its existing structure so that it can be enlarged on both sides.